Tubelight Box Office Collection Day 3: Not Even 65 Crore - Is Salman Khan's Sheen Wearing Off? Salman Khan's sheen at the box office may have been just a little tarnished by his new film Tubelight, which appears to have left the star's public as underwhelmed as it did critics. Salman, 51, is held to more stringent standards, in terms of ticket sales, than are lesser stars. As such, Tubelight has scraped through its first weekend in cinemas with numbers that are respectable in themselves but are dull in comparison to Salman's previous openings. 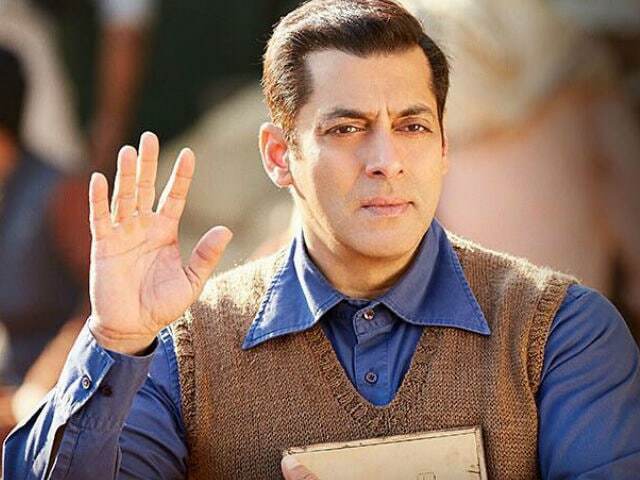 Tubelight released on Friday to coincide with the Eid weekend and trade analyst Taran Adarsh reports that it has made a shade under Rs 65 crore in three days - Rs 64.77 to be exact. Eid business is expected to bolster the figures. #Tubelight Fri 21.15 cr, Sat 21.17 cr, Sun 22.45 cr. Total: 64.77 cr. India biz... Eid festivities should boost biz today tomorrow. Box Office India reports that Tubelight has managed 2017's second biggest opening after the majestic Baahubali 2. This means little in a revenue-impoverished year, particularly when you consider that Tubelight is an extremely distant second and at just half of what the top earner managed - Box Office India reports Baahubali 2's net opening figure as over Rs 127 crore. #Tubelight will have an awesome weekend extended weekend [Eid festivities]... Will it touch 300 cr, 400 cr, 500 cr? I doubt! Tubelight, loosely based on the Hollywood film Little Boy, is directed by Kabir Khan and co-stars Salman's brother Sohail Khan, Chinese actress Zhu Zhu, Arunachali child artiste Matin Rey Tangu, and late actor Om Puri in his last role. The events of the film are set in 1962 and take place after Sohail's character Bharat, reel-life brother of Salman's Laxman, goes off to fight in the war against China. Laxman, the village idiot, embarks on a search to find his brother.